72 years young, and riding along. At the ripe old age of 72, Israel Molebatsi came in to the Gaborone shop recently to have his very old and broken down bike serviced (the one on the left), and the shop guys determined that it was simply beyond repair. This old bike was Israel's only means of transport, so he was beyond happy to receive a good quality replacement bike (the one on the right) courtesy of The Bike Shop Gabs. And we're beyond happy to see this awesome old dude still riding! With our first donation of 24 bikes and a slew of product from our generous sponsors, we're super excited about our new partnership with Children in the Wilderness (CITW). CITW is a non-profit organization that facilitates sustainable conservation through leadership development and education of rural children in Africa. Insight, care and commitment are required to conserve Africa's pristine wilderness and wildlife areas. To ensure that these places continue to exist - in this generation and those to come - we need the rural children of Africa to understand the importance of conservation and its relevance in their lives. Hence, the Children in the Wilderness program: and environmental and life skills education program for children, focusing on the next generation of decision-makers; inspiring them to care for their natural heritage and to become the custodians of their wilderness and wildlife in the future. CITW's Eco-Club program forms part of the normal school curriculum and uses interactive sessions to involve children in projects that benefit both the community and the environment. This donation will enable CITW to run competitions in its Eco-Clubs, with winners each receiving a bike, a helmet and riding gear. These bikes are a huge reward for child participants who demonstrate a commitment to conservation and community service. Huge thanks to our industry partners who made this possible: Specialized, Raleigh, Giant, Ivar, Bike and Roll, and of course our generous customers right here in NorCal! Giant Revel spotted out in the bush. 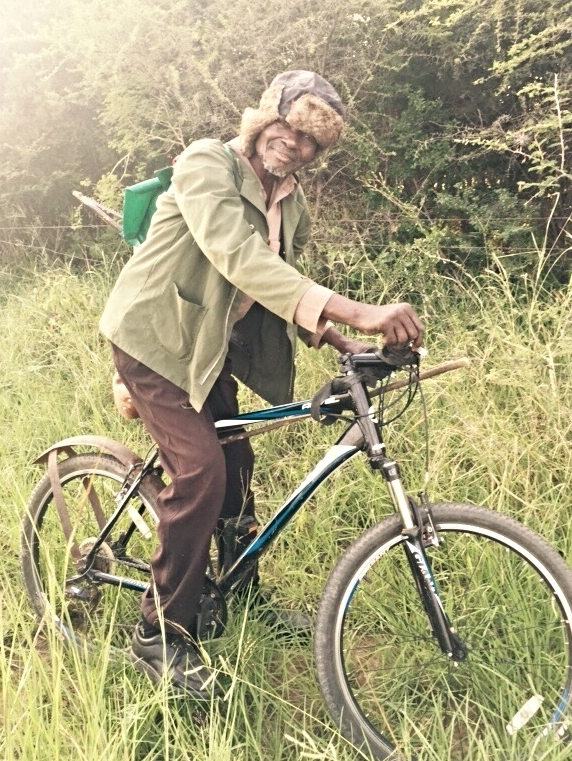 Our buddy Paul was out on a mountain bike ride in the bush outside Gaborone, Botswana, and happened upon this lovely old man, Madala, on his donated Giant Revel that he received a few months ago. He's enjoying the heck out of his bike and riding it everywhere. Big thanks to Giant Bicycles and Bicycle Warehouse in San Diego. And to Paul for grabbing the pic. Our friends at Team JonMol Cycling sent us a recap of their remarkable achievements on the local, regional and international race scene in 2014. Aside from numerous top finishes in the local races, this junior team earned a podium in the African Youth Games (hosted in Botswana this year), 1st in Team Time Trail in African Youth Games, National Champion in MTB, Duathlon champion in the Scania Race in Kgale, sprint winner in the Jwaneng race, 1st overall and 1st mixed in the Time Adventure Challenge, and took part in the Lady Khama Charity Event and the Botswana Independence Day celebrations. It was an active year for Team JonMol, and we're all very proud of their accomplishments. As we look back, the Team had great achievements locally and internationally this year. Our juniors didn't disappoint. Being part of these events leaves a historic legacy to the team. Appreciation and Recognition are priceless. We always learn as we move forward. To sum it up, 2014 realized growth in terms of our podium finishers. This was never an easy task. People had to commit their time and resources to make this dream become reality. As we get into year 2015 we face new challenges which need full commitment and dedication. We also require support from companies - since we do not have sophisticated bikes, we rely on the bikes we're given by Mikes Bikes through the Bike Shop Gabz. I WISH YOU THE BEST CHRISTMAS AND A HAPPY 2015! The Bicycle Warehouse San Diego bike drive delivers! About a year ago, Ken challenged our friends Mike and Debbe Simmons, owners of the Bicycle Warehouse stores in San Diego, to run their own Africa Bike Drive, and they jumped right on board! All Bicycle Warehouse locations became drop off points for donated bikes, and Mike built a massive shed behind their house to store them all. Before we knew it, they had rounded up a full container of bikes, along with 300 helmets donated by Kali, new parts donated by Giant, and piles and piles of carefully organized used parts. This week, Ken visited Mike and Debbe to show them the tricks of cramming as many donated bikes as possible into a shipping container, and Container #29 is now en route from San Diego to our facility in Gaborone, Botswana. Here's a hats off and a huge, huge THANK YOU to the entire Bicycle Warehouse crew, and to all of their awesome San Diego customers who donated bikes. We think they kind of like the idea, because Mike and Debbe have already begun collecting bikes for their next container! Mike's yard absolutely filled with donated bikes. Mike giving a tour of the donation bike piles. The bikes have taken over! All Bicycle Warehouse stores are now San Diego drop off points for bike donations. Boxes of parts donated by Giant and helmets donated by Kali. Ken showing Mike the finer points of container loading. Not our typical container loading spot. Ken and the Bicycle Warehouse team. Thank you to our customers and supporters in NorCal who have donated enough used bikes to fill our 26th container to Africa. These bikes were unloaded this week in the new distribution facility in Gaborone, where they'll be catalogued, rehabbed, prepped and delivered to the Sister Shops. From there, they'll find their 2nd home out in an African community and change lives! Adam Austin started an organization called Kit Up Africa to collect gently used bike clothing in Southern California to donate to aspiring African racers. As we've learned over the past several years, there's a surprisingly strong racing community in southern Africa, and they're always after better equipment, including more professional clothing. Adam personally delivered the first truckload to us today in Novato, and we're loading all the neatly sorted bins into our 28th shipping container to Africa. Huge thanks to Adam for this effort, especially for delivering the clothing all laundered, folded and sorted. It will make the distribution from Gaborone so much easier! Also huge thanks to our friends at all the SoCal shops and teams who are helping with the collection. We're quite confident we'll find excellent second lives for all of this gear. After leaving Tumi in Lesotho, we headed to Gaborone, Botswana to visit our distribution partners and see the The Bike Shop, which Jere helps run. Our distribution partners in Gabs are Rob and Paul from WhiteTree and they have been instrumental in supporting our Sister Shops. If you remember, we formed what we like to call the Robin Hood Model a couple years ago. WhiteTree is a proper distribution company that serves Southern Africa and they have several high-end brands in their portfolio, Wilier and Specialized (SBC is Botswana only) bikes and BikeSmart accessories being the primary brands. In exchange for our support in getting them access to high end product, they deliver our donated bikes and parts at no markup to the Sister Shops. This allows the shops to buy at more affordable prices and manageable quantities than an entire container and gives them a greater chance at success. The primary purpose of the visit was to check in on the progress for the new distribution facility. Rob’s other company (along with his brother Andrew) is GMR freights. GMR owns a now empty warehouse in Gaborone that will serve as the primary distribution center for all of their brands, including the bikes for our Sister Shops. This will be hugely beneficial for our Sister Shop program as there will now be a proper place to sort, inventory, and prepare our donated bikes for the Shops. 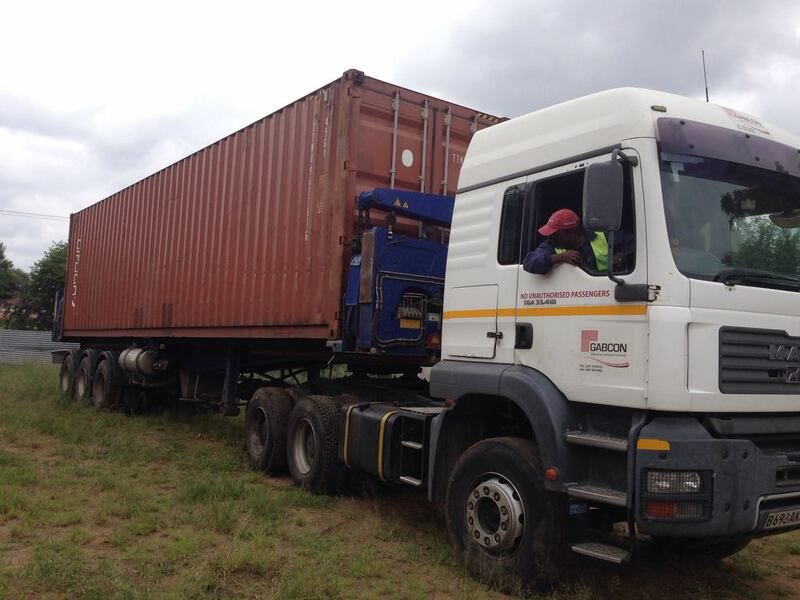 When our container lands and the hundreds of bikes are unloaded, they will be sorted by style and condition. Some bikes are not fixable but have parts that could be used on other bikes. These can now be stripped and organized to make repairing other bikes easier and faster. The end goal here is that Tumi and the other shops will get their deliveries of bikes in sellable condition and we prevent the scrap pile from growing. It allows us to get the most out of the bikes we do receive, train and employ more mechanics in Gaborone, and lessen the burden on our Sister Shops. 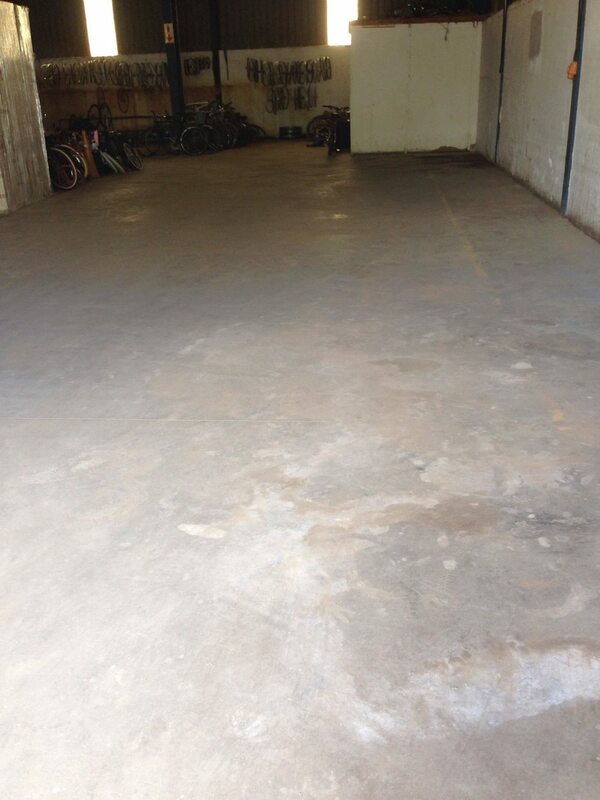 Another major benefit of this new facility is that it will allow us to begin the hunt for new bike supply. A main focus of our entire program is sustainability and a traditional model of buying and selling new bikes is a huge step forward. New bikes can smooth out the peaks and valleys that we face due to only being able to send a container of 500 bikes when we have received that many donations. It can also allow us to expand our network of shops as it allows the donated bikes to be spread thinner across more Sister Shops. We envision the new DC in Gabs to be much like our own here in CA. New bikes arrive unassembled and a team of mechanics does the work to prepare the bikes for the stores. Then the shops can order the right mix of bikes and price points based off of their market and consumer demand. It’s pretty damn cool to be this close to having built a proper distribution channel that can reliably supply bikes to communities where access to bikes was impossible or very challenging. Now we just have find a new bike source that is affordable enough for these markets and durable enough to last. Easy, right? On our most recent visit to Africa, we made the journey up to Shakawe in the far northwest of Botswana to check in on Trinos. We met Trinos last year, started chatting with him about bikes, offered to send a few to see if he could move them, and next thing we know, he's calling to order more, and then more, and then still more. He's the caretaker at the Shakawe house of our buddy Brett, who is probably the biggest supporter of cycling in all of Botswana, and Brett has no problem allowing Trinos to essentially operate a small bike shop out of his garage. Trinos has run with this opportunity. The community now recognizes him as "the bike guy", and when he receives new stock, he simply posts up a 8x11 white sheet of paper on the fence saying "bikes available" and the customers start showing up. Shakawe is another of those places in Africa where there were literally NO bikes just a year ago, and now they're quite common, all thanks to the Sister Shop program and our local star Trinos. Trinos has even started to help get product up to our Namibia shop, which is about 40 minutes north, just across the border. Our Botswana partners at Whitetree have regular truck routes up to Shakawe, but they don't cross into Namibia, so Trinos helps complete those deliveries. It's a beautiful example of independent folks cooperating to contribute to the greater good and help us spread cycling across the region. A batch of bikes being prepped for delivery up to Trinos. This picture was taken about a month before our arrival - check out that beautiful old Bridgestone MB-2 - that same bike appears in the pictures of us at Trinos' place. We didn't even realize until we got home and compared shots. Also notice all the donation forms from our customers in California - we'll be emailing those folks individually with a link to this post. Thanks to all our bike donors!! Trinos with Ken, Matt and Paul, and a few of the bikes he has available for sale in Shakawe. They've made a long long journey from California. 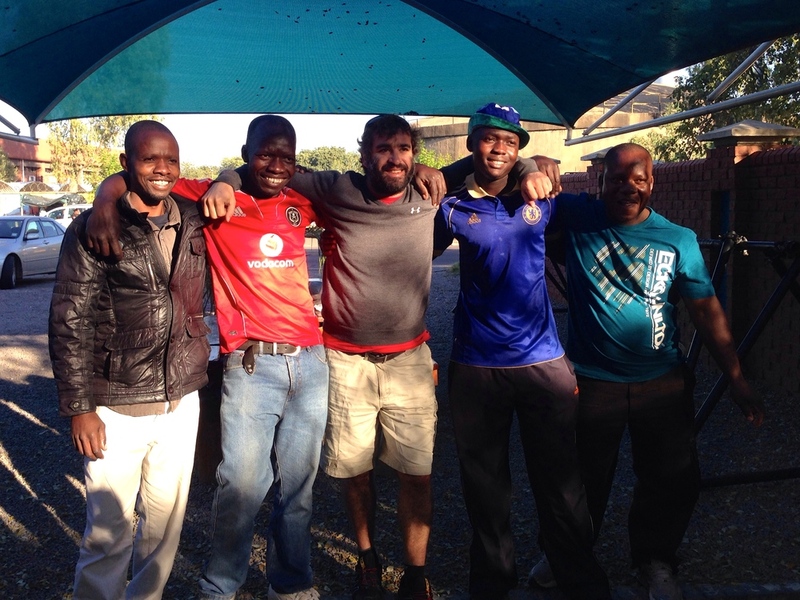 One more person in Africa has fallen in love with cycling - and that makes us smile! Funded by a Mike's Bikes customer, 4 Buffalo Bikes were presented this week to game rangers at the Mokolodi Nature Reserve outside Gaborone, Botswana. We've spent quite a bit of time in Mokolodi. 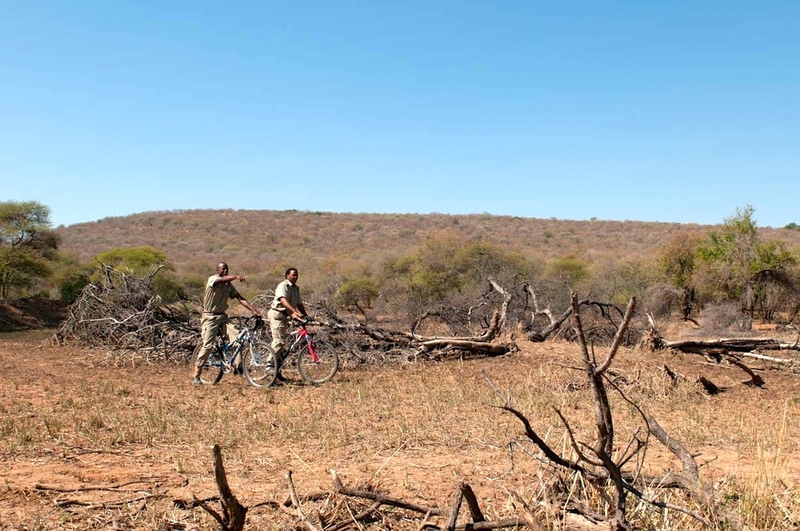 It's a beautiful and expansive reserve where patrolling by bike makes perfect sense, and this is yet another great example of the many ways bikes are a perfect tool for Africa. The owner of a horse farm in rural Botswana recently purchased bikes for 6 of his workers. These workers were previously faced with up to a 6 mile walk to and from their jobs every day. The bikes have made a huge difference by speeding up their daily commute, allowing them to spend less time away from their families. The bikes are also very helpful for their necessary trips to the local supply store, which is now much more accessible. These new riders are delighted with their bikes and there is a huge demand for more by their friends and relatives working on the other farms and cattle posts in the area. Your donated bikes are making a big difference in the lives of everyday Africans! I have just returned from Maketo/Caprivi... was absolutely brilliant to breath life into Erasmus's Meketo store.. Note the name change from Makveto to Maketo..... The "V" was for Ludwig...so obviously Erasmus wishes to remove any/all reference. It was really good to have Sparks with me. He did a very good skills transfer/handover eg. Mukena/Erasmus had never done a tubeless conversion so that will be implemented in Caprivi shortly. Hamo, Sparks and Girlie at the Bike Shop Maun. Paul and Sparks arriving with a load of bikes at Meketo on the Caprivi Strip. A batch of badly needed tires from Specialized. Sparks building Meketo's first Globe bike. Erasmus building the only Specialized apparel rounder in all of Caprivi. At the market in town, Paul just happened to find this guy on a bike with an MB sticker on it. So cool! Sparks demonstrating how to do a tubeless conversion, a very valuable thing in these parts. Even Erasmus's father came out to see. The team! Renewing friendships, partnerships and commitments. In any case, we crammed almost 500 bikes into this 40' can and it sets sail any day from the Port of Oakland for its long journey to Durban, South Africa, where it will then transfer to a rail car for the overland leg up to Gaborone. And not a minute too soon, as the Sister Shops are reporting brisk sales and are constantly requesting fresh supply of used bikes from the States. The Gaborone sister shop has been officially named "The Bike Shop, Gabz". We're also one major step closer to setting up World Bicycle Relief assembly center there, where we will import completely broken down Buffalo bikes and assemble them locally. An example of a completed Buffalo is in the photo below, and additional info about Buffalo bikes and how they're assembled can be found here. It was an exciting morning for us at our warehouse here in San Rafael. 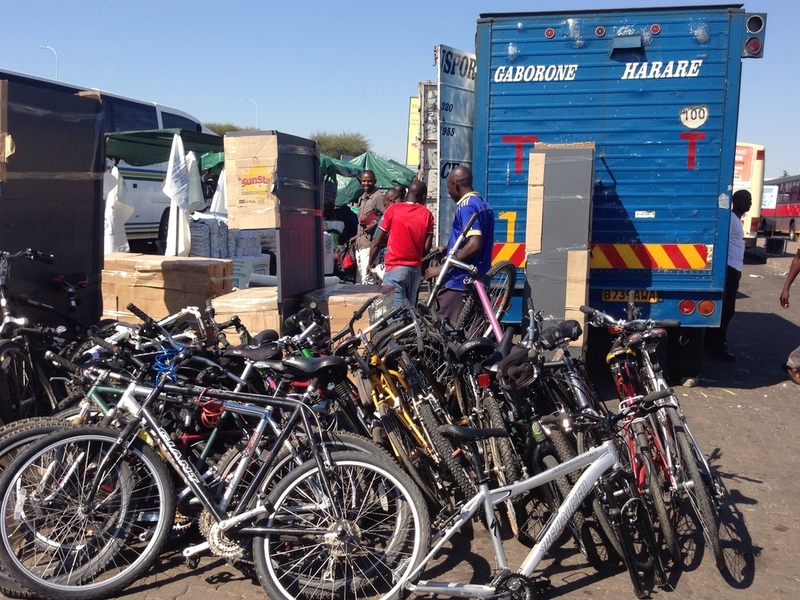 Tucked behind new bikes and parts inventory were 343 donated bicycles that were ready to be loaded into our next container headed for Bicycle Recycle in Botswana. 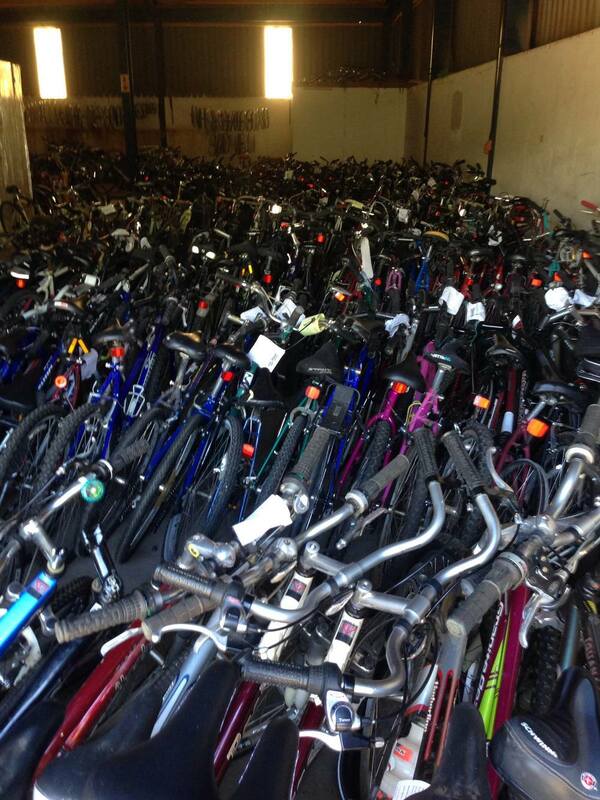 These donated bikes used to have a life with somebody in the Bay Area. Santa could have delivered the tiny pink bike to a slumbering toddler. The older steel road bike may have been somebody's first race machine back in the 1990s. The haggered mountain bike with spring suspension still has dirt from its last rugged adventure. They all had their place with somebody else and served their time for those experiences; they were tools for learning and exploring. Now it's time for new homes, new rides, and new soil. These bikes will be forgotten no more, but rather restored and reintroduced into the world, reigns held tightly in eager riders' hands. It's time for new adventure and exploration in Africa's arms. We've loaded containers many times before and it always restores faith in humanity to see everybody work together for the same goal; to get more people on bikes, happy and carefree, all over the world. We couldn't do it without the countless donations and give thanks to all those that have contributed. There will be plenty more containers to fill in the future, so if you know a bike that's been forgotten in a garage or tucked in a storage unit without much thought, roll it out to one of our locations for a new life in sunny Africa.